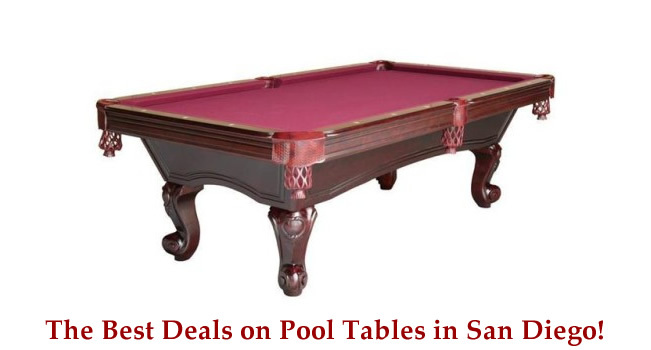 Discount Pool Tables San Diego offers a wide variety of solid wood pool tables at deeply discounted prices. All billiard tables come with 1" Slate and include your choice of felt color. 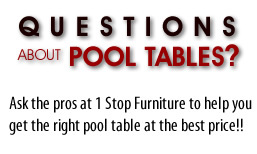 Come by our massive 8000 square foot showroom and pick out your pool table today! 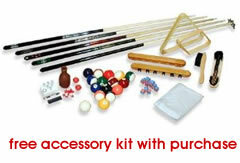 Discount Pool Tables San Diego offers tremendous value on all home furnishings and unparalleled customer service. Copyright 2009© 1 Stop Furniture Warehouse. All rights reserved.